Mauricio is programme managing and co-leading the launch of Barclays Wealth and Investment Management’s new Impact Investing business. Prior to this, Mauricio was instrumental in the development of Barclays’ behavioural framework for Impact Investing and Philanthropy, a psychometric algorithm and profiling tool that helps investors embarking in the journey of achieving a balance between financial returns and social objectives through impactful investments (e.g. Early stage start-ups & social enterprises) and philanthropy. Before joining the wealth division, Mauricio worked for four years in the build out of the equity capital markets business at Barclays Investment bank, supporting the structuring and execution of multiple transactions in the UK and EU, including some high profile IPOs in the renewable energy and infrastructure sectors such as Greatcoat UK Wind, Infinis Energy, Intelligent Energy and John Laing Environmental Assets Group. Prior to this Mauricio worked at J.P.Morgan Investment bank as relationship manager for structured products and Project Manager. Before his days in banking, Mauricio co-founded and ran 3 businesses, the latest in the EdTech sector. 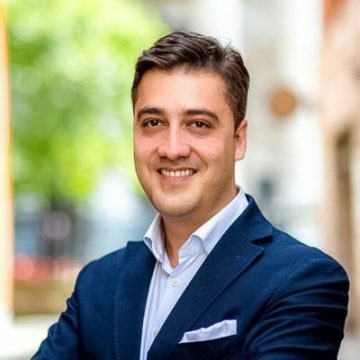 Mauricio has been for more than a decade involved in mentoring startups in various accelerator programmes including StartupBootcamp and Techstars, and has also supported social organisations through pro bono advisory work. He is also a trustee and member of the board of Children Change Colombia, a UK based charity supporting vulnerable children in Colombia.